The word tarong literally means 'waves' and refers to the under-water sounding quality one hears when many table drums are played in quick succession. In composing these melodies for his first solo debut album, Daniel drew inspiration from the natural beauty of the Hawaiian Islands where he makes his home. From the whale songs in the trilogy of Oceania, Song of the Sea and Rapture, to the jungle parrots of the title cut, “Rhythms of Paradise”, these songs take you on a musical journey through Daniel’s island experience featuring the contributions of Jai Uttal, Singh Kaur (Lorellei), Dean Evenson, Glen Falkenburg, Raphael, Donny Regal, Steve KIndler and Michael Pluznick on harp, flute, violin, keyboards, percussion and dotar. 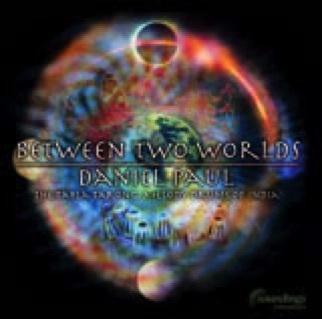 On this CD, Daniel takes the rare art of melody drumming literally on a journey Between Two Worlds, blending the rhythms of the tabla tarong of India with Celtic, African, Middle Eastern and Western instrumentation. He is joined by a rich cadre of musical friends from Deva Priyo of Lost at Last, on guitar, sarod and berimbao, to Soundings Ensemble artists with vocals from the late Singh Kaur, Dean Evenson on flute, and Sonic Tribe's Scott Huckabay’s guitar harmonics. One of the few musicians in the world to play the tabla tarong, sometimes referred to as the 'harp of drums' because of the melodic quality of the drum tunings. This set of multiple tabla treble drums is arranged in a semi-circle around the musician in an ascending chromatic scale and is played with a simple tap of the fingers to create melodies, thus allowing the percussionist to compose musical pieces with the drums themselves. The resulting musical experience is more melodic than rhythmic, perfect for yoga, pilates and sacred movement. 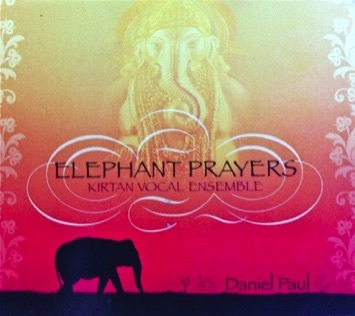 The songs on Elephant Prayers are simple, slow and soothing, based on a popular devotional form of folk music known as kirtan. Found in India for thousands of years, kirtan is a simple prayer sung with love and devotion, a gospel style of singing from the heart, a praising of the names of ancient vedic gods and goddesses. Kirtan mantras are generally sung in the ancient sanskrit language, but the music can sound as varied as the many different regions of India in which it is found. 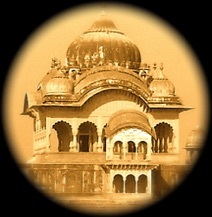 Today a growing interest in yoga has created a world-wide renaissance for kirtan. Singers and composers are using modern instruments and mixing mantras up with countless musical styles. Elephant Prayers is a part of this new world folk music. Almost acappella, a chorale of vocals are featured in tight harmony, while the soft accompaniment of guitar, harp and hammered dulcimer, mix with the Indian harmonium, tabla drums and Nepalese flute! Ten songs in sixty-five minutes. 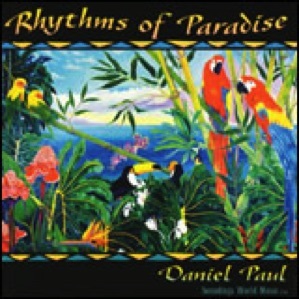 Daniel Paul - tablas, tamboura, synth & percussion. and CC White, Prajna Vierra, Jai Uttal Steve Gorn, Deva Priyo, Glenn Falkenberg. 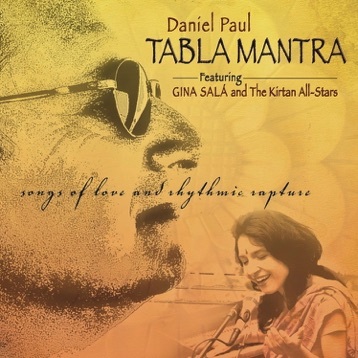 Tabla Mantra is a recent work from Daniel Paul, tabla master and longtime ambassador of kirtan, the centuries-old Indian practice of devotional chanting. Daniel’s virtuosity is certainly apparent, but this recording comes from a very special place: the deepest recesses of his heart and those of all who were involved in its creation. Global vocalist Gina Sala’s astonishing voice caresses the ear with its exotic richness, fueled by her fearless artistry and devotional heart. Bansuri flute master Steve Gorn provides breathtakingly lyrical passages of shimmering beauty. C.C. White’s voice possesses a soulful passion that will melt the most stubborn of hearts, and provides a luscious counterpart to Gina’s soaring vocals. Jai Uttal, longtime musical compatriot of Daniel, also joins in, along with many others. On a scale of one to ten, give this CD at least a twelve. Highly recommended - within the first minute it will entrap your heart with its lush sonic landscape and heartfelt performances. Music that is this powerful and that touches the senses so deeply is a rare find, a beautiful chord amidst the cacophony. A brand new CD featuring four solos of soft slow traditional North Indian classical music evoking the moods of the four seasons. 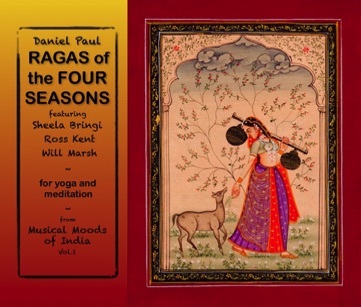 From the relaxing sounds of the bansuri bamboo flute, the evocative strings of the exotic sitar and sarod, and the melodic pulsing of the rarest of drumsets, the tabla tarong, each raga melody was chosen to provide a comfortable aural environment for yoga, meditation or just plain relaxation.